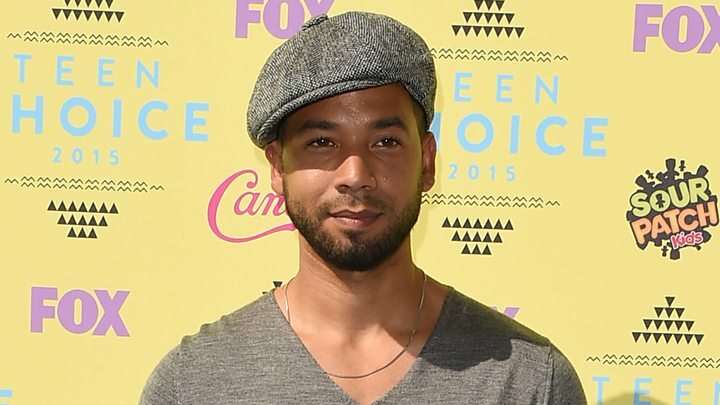 Lawyers for the US actor Jussie Smollett have denied he had any role in an assault last month he alleges was carried out by two white men. Their statement came after sources told US media that police believed he may have paid two Nigerian brothers to stage the attack on 29 January. 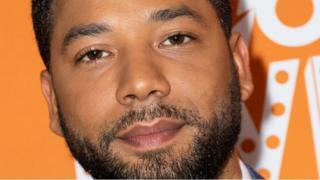 The brothers, who worked as extras on Empire, the show Smollett starred in, have been questioned by Chicago police. Police have only said the “trajectory of the investigation” has shifted. What have Smollett’s lawyers said? “Jussie Smollett is angered and devastated by recent reports that the perpetrators are individuals he is familiar with,” a statement from lawyers Todd Pugh and Victor Henderson said. One of the brothers is Smollett’s personal trainer, and the lawyers said it was “impossible to believe that this person could have played a role in the crime against Jussie or would falsely claim Jussie’s complicity”. They had questioned the two brothers, Ola and Abel Osundairo, last week but the pair were released on Friday and are said to be still co-operating with the investigation. The brothers had left the US after the alleged attack and were arrested on their return last Wednesday. Police sources told US media the pair had bought rope used in the attack at a nearby hardware store. Police searching their flat found ropes, masks and bleach, CBS reported. On Saturday, Chicago police spokesman Anthony Guglielmi said: “We can confirm that the information received from the individuals questioned by police earlier in the Empire case has in fact shifted the trajectory of the investigation. Ola and Abel Osundairo have both appeared as extras on Empire, a drama about a hip-hop mogul and his family. In this Instagram post, Ola Osundairo (R) is seen alongside Empire creator Lee Daniels (C). He said two white men hurled racial and homophobic insults as they punched him, poured a chemical substance over him and put a rope around his neck. “This is Maga country,” he says they told him, referring to President Donald Trump’s Make America Great Again slogan. The actor said he had been “forever changed” by the incident. #MeToo Oscars: Why aren't there more female directors?